Information Technology Officer in the Grade- MMG in Scale- II. -The Closing Date for online Application is 12th February 2011. 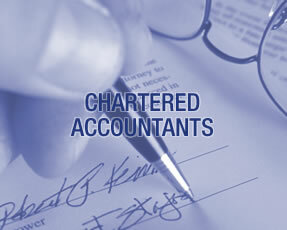 Minimum 2 years post-qualification experience in any Bank / Financial Institution as Chartered Accountant. B.E./ B. Tech ( 4 years full time degree course ) in Computer Science / Electronics & Telecommunications / Information Technology or Post Graduate in Computer Science / Information Technology / Electronics & Communications / MCA from a recognized University / Institute recognized by Govt. of India with a minimum of 60% marks. Not less that 1 year post qualification experience in any bank / Financial Institution in development, maintenance, support etc. of software meant for BFSI Sector and CBS. Group Discussion followed by Interview or only Interview depending on the extent of response. The upper age limit may be relaxed as per Government guidelines for both the above posts as given below:-(i) Scheduled Caste / Scheduled Tribe candidates by 5 years. (ii) Ex – Servicemen by 3 Years (in addition to the usual period of service in the Defence forces subject to a maximum age of 50 years). (iii) Other Backward Class Candidates by 3 years. (iv) Physically Challenged Category candidates by 10 years. (v) A person who had originally been domicile in the State of Jammu & Kashmir during 01/01/1980 to 31/12/2989 by 5 years. Candidates awaiting results are not eligible for applying for the above posts. Candidates are required to apply online through website www.unitedbankofindia.com. No other means/mode of application will be accepted. Candidates are required to have a valid personal-mail ID. It should be kept active during the currency of this recruitment project .Bank may send call letters for Interview and other communication through this registered e-mail ID. Under no circumstances, he/she should share/mention e-mail ID to/of any other person. Applicants are first required to go to the Bank’s website and click on the Home Page and open the link ’Recruitment’. Thereafter open the notification for recruitments of Chartered Accountant and IT officers. Take a Printout of the ‘Cash Deposit’. Fill in the Cash Receipt in a clear and legible handwriting in BLOCK LETTERS. Go to the nearest United Bank Branch with Cash Receipt and pay, in Cash, the appropriate Application Fee in CBS Account Number:00980124261071. Obtain the Applicant’s Copy of Counterfoil of the Application Cash Receipt duly receipted by the Bank with (a) Branch Name & Branch SOL ID (b) Transaction ID and (c) Deposit Date. Candidates are now ready to apply ONLINE by re-visiting the Recruitment link on the Bank’s website by choosing the option “CLICK HERE TO APPLY ONLINE FOR THE POST OF CHARTERED ACCOUNTANTS & IT OFFICERS” to open up the Online Application Form. Carefully fill in the details from the Cash Receipt in the Online Application Form at the appropriate places. Fill in all other required details therein and click on the “SUBMIT” button at the end of the Online Application Form. After applying on-line, take a print out of system generated online application form and retain it for future reference. Do not send this printout to Bank. Original counterfoil of the Cash Receipt will have to be submitted at the time of Interview along with the copy of the print out of system generated online application form, relevant certificates as regards age, educational qualification and experience and Call Letter for Interview with photograph affixed. The name of the candidate or his father/husband etc should be spelt correctly in the application as it appears in the certificates/mark sheet. Any change /alteration found may disqualify the candidature. Candidates are advised in their own interest to apply online much before the closing date and not to wait till last date for depositing the fees to avoid the possibility of disconnection/inability/failure to log on the Bank’s website on account of heavy load on internet/website jam. The Bank does not assume any responsibility for the candidates not being able to submit their application within the last date on account of the aforesaid reasons or for any other reason beyond the control of Bank. Candidates are advised to remain in touch with Bank’s website for any information which may be put for further guidance. Candidates are advised to keep a copy of the application printout and cash receipt for their record. They should not send the Printout or the Challan to the Bank. (i) Demand Drafts, Cheques, Money Orders, Postal Orders, Pay Orders, Banker’s Cheques, postal stamps, etc., will not be accepted. 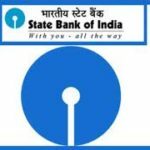 (ii) The payment towards application fee will be accepted by Union Bank of India Branches, from 25th January 2011 to 11th February 2011 only. (iii) Application once made will not be allowed to be withdrawn and fee once paid will NOT be refunded under any circumstances nor can it be held in reserve for any other future selection process.